If the space based games come into your favorite genre then I am sure you are going to love these 10 games like Eve Online. This game is a type of MMORPG which runs in a persistent world and of course you get to see a lot of aspects related to space simulation in it. And if you love to explore space environment and inter-galaxy fights then this article is a tailor-made piece of information for you. Not only this element, but you are going to discover a lot of different things in here too and I am sure you would not want to leave such a package of games. Varying from single player campaign experience to multiplayer online fun, these games are full of versatility. This is why you will never feel bored while playing them because there is a lot more to discover in them. Here are the top 10 games like Eve Online. 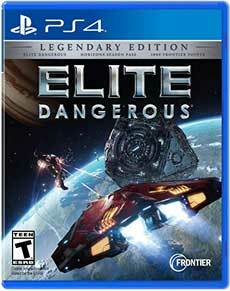 Elite Dangerous is an online only game based on the genres of space adventure, combat simulation and trading. It has single player & multiplayer gaming modes and the gameplay can be controlled from first person perspective. To keep the players hooked to the game, they have featured an open world environment here which is basically a galaxy inspired from Milky Way. The game also features MMO element too and showcase a persistent universe just like the one in Eve Online. Currently set in the year 3304 where player start from having a spaceship and a small amount of credit. They are set free in the open galaxy to explore around. Players need to get involved in the activities like mining, trading, piracy, assassination, bounty hunting and many more either in legal way or illegally too. To consider combat in the game they have featured first person shooting in it. 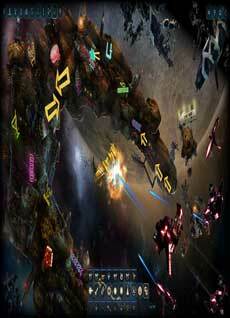 Star Conflict is a type of MMO Space action game which is based on free to play dynamics. It is a wonderfully action-packed game whose main theme revolves around the element of space simulation. The game features only multiplayer mode and provides an open world environment to the players. Star Conflict makes its own way amongst other Eve Online alternatives. The major gaming modes here are PvP and PvE which features cooperative missions in the game. 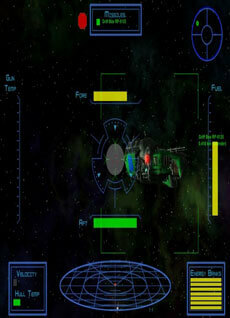 The players are supposed to control the combat spaceships and assigned different roles. As the game proceeds, players start establishing their own set of skills and tactics in order to survive in the game. Apart from other modes there is an open world sandbox mode in the game too. Star Conflict provides more versatility in gaming as compared to other games like Eve Online. Different gaming modes feature different missions and gaming styles which keeps the game exciting and unpredictable throughout. Sector conquest, custom battles, open space exploration etc. are other parts of this game. 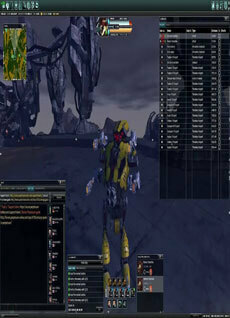 Oolite stands different from other games like Eve Online as it features a 3D environment to its players. Moreover, the game is also free to play and open source too. It largely exhibits the properties of a space trading and combat simulation game but features only single player gaming. The gameplay of Oolite is controlled from first person perspective and as it features an open world environment, the game is open-ended as well. The player takes the character of a pilot of a space craft. This space craft is capable to travel to nearby planetary systems through the wormholes generated by the engine of the ship. These planetary systems contain only one inhabitable planet and player need to identify and explore it. As the game does not feature a definite objective, you have the option to explore a variety of elements. Players can earn money by purchasing goods in one system and selling them to another system. This money helps in upgrading and buying better services in the game. 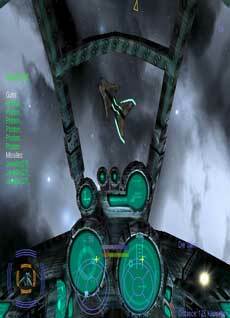 Moving on with the category of games similar to Eve Online, the next one I discovered is Perpetuum. Just like Eve Online, this game also features a persistent world which is player driven and the game is set on the theme of MMORPG featuring a science fiction setting. Although the game does not feature a space theme but the projection is kind of similar where players control customizable robots and travel from one island to another by teleportation. There are a number of in-game professions and activities and it largely depends on player’s choice whether he wants to participate in them or not. Other interesting elements of this game are mining, trading, manufacturing, combat, artifact hunting etc. Perpetuum is also a vehicular combat game. Players are supposed to gain extension points throughout the game which are further used in a variety of in-game purchases. Dark Orbit is a type of space action game which features massively multiplayer online game playing. Players are supposed to control a space ship and combat against other non-player characters. The plot is set in outer space and the gaming environment is 3-D isometric. The game is basically a type of flash game where you can find over a 100 million registered accounts of users and hence you are going to have a big competition in here. Players need to choose a company between three before the game starts. Afterwards, players are teleported to home map to start their mission. Purpose of the game is to gain power as well wealth individually and for the company too. The major emphasis is on trading rather than on space combating. You need to keep on gaining points which ultimately helps you in getting featured in the Top user points show up. FTL is the next amongst Eve Online like games. 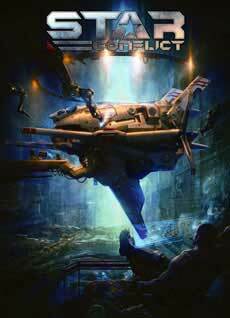 This is a type of space based real time strategy roguelike game which is controlled from top down perspective. 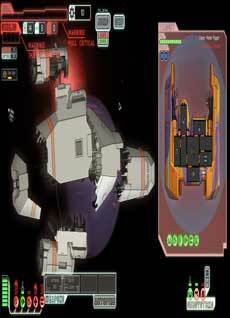 FTL features only single player gaming mode where the player controls the crew of a space craft. The objective is to deliver a critical information to allied fleet but in this mission, player is being chased down by rebel fleet. The game follows a procedurally generated environment which is divided between eight planetary systems and player needs to guide the space craft through them all. The theme of the game is its name which is Faster Than Light because the player’s space craft is able to travel faster than light. The ultimate goal is to reach a Federation headquarter and this journey is something which puts together the entire game. Unlike other games like Eve Online, player can control a variety of elements here including the type of space craft and crew as well. 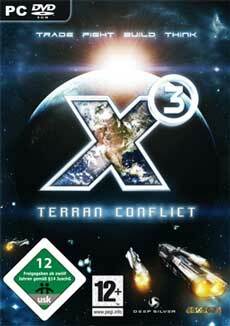 X3: Terrain Conflict or X3TC is also based on the genre of space trading and combat simulation. X3TC features only single player gaming mode and the game play is controlled from first person perspective. Player needs to explore the vast universe of this game and expand its territory in the constantly changing environment. The universe is divided between various sectors which are owned by a variety of races like split, argon, teladi etc. With the help of devices called jumpgates, player can opt for large scale travel from one sector to another. There are like thousands of persistent stations and ships throughout the gaming universe having different economy system. This gives an opportunity to the player to buy things from one planet and sell it on another to make profit. Vendetta Online is quite similar to Perpetuum in terms of theme and features a science fiction world. It is basically a twitch based game featuring MMORPG elements. The game features a realtime flight model and combat system and can be controlled from first person as well as third person perspective. The major modes of gaming are PvP and PvNPC where battle and combat are the guiding elements. The main objective of the game is to shot the enemy ship and avoid the incoming fire from their side however these objectives can be different also. As the game features a 3D space, it is sometimes complex to figure out the position of enemies. 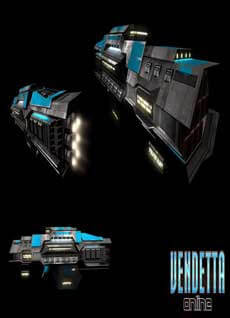 Vendetta Online exhibits all the characteristics of Eve like games where the various faction like system in the game keeps it versatile and interesting. Vega Strike showcase the elements of space trading and combat simulation and interaction with NPCs too. The gameplay is controlled from first person perspective. However, according to many reviews, it is stated the Vega Strike is indirectly inspired from Elite series on the basis of game mechanics. This space simulation game features both single player and multiplayer gaming modes where player takes charge of exploring a large and dynamic universe which is divided into various factions. The game also follow an economy model where trading plays an important role along with combat as well as exploration. As player gains high in terms of credit, he can buy upgrades and other services in the game easily. You should better invest in vehicles as they are quite important for dangerous missions. As the player goes from one faction to another he keeps on forming relations which largely depends upon his actions taken out there. No Man’s Sky is the next and final Eve alternative here. It is a type of action adventure game which comes with the element of survival in it. The major priorities in this game is given to tasks like trading, combat, exploration and survival. 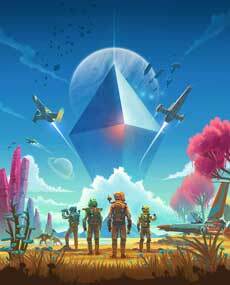 It features an open world environment where players are supposed to explore a procedurally generated open universe. This universe is comprised of 14 quintillion planets and each planet differs from another on the basis of their eco system and unique flora and fauna. Collecting resources and trading them off is an important aspect of game which brings credits to the player which can be used for improving their space crafts. The game has both single player and multiplayer gaming modes and the gameplay can be controlled from first person perspective. Player takes control of the character called The Traveller and engages in a variety of activities. What makes these space based games like Eve Online a huge hit is that they provide a wonderful experience to gamers. As their gameplay is player driven, you actually get the chance to connect with the game fully and hence this develops a huge interest in players. Apart from it, they have wonderfully used graphics and fantasy driven environment which makes it even more fun to play such games. And last but not the least, the major element of MMO is a big reason of trying out these games which takes the entertainment level to great peaks.